Vernon Tam was a pure science graduate before he undertook an MBA at Hong Kong’s CUHK Business School. He had a bachelor’s degree in Molecular Biology, a Master’s degree in Reproductive Endocrinology , and worked for a multinational pharmaceutical company. He found however, that every decision made was focused around business, and so he decided to study an MBA. On joining CUHK, he entered a program with a 50-year history - the longest-established MBA program in Asia, ranked 36th globally by the Financial Times and first for salary increase in Hong Kong. Vernon completed his two-year MBA in 2011, with an international exchange at Duke University in the US. Since graduating, he's transitioned from the pharmaceutical industry into finance and, in 2014, he took up a leadership role as vice president at Deutsche Bank in Hong Kong. 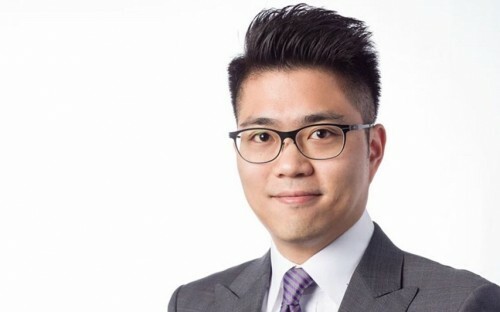 The CUHK MBA was vital in helping him make this transition, with access to the school's 32,000-strong alumni network critical to his career success. How did your MBA help you transition from pharma into finance? Back in 2011, there were quite a number of healthcare-related Chinese companies looking to list in Hong Kong. Investment banks needed people who could understand the science well, but at the same time know the business side too. My medical science degrees together with my MBA made me a perfect candidate to fill this need. The CUHK MBA alumni program was useful as I got to know my mentor Antony Hung, the ex-head of fixed income and private wealth management at the Bank of America Merrill Lynch, who helped me learn more about investment banking and how to prepare myself to get into it. How important is the MBA skillset in your leadership position at Deutsche Bank? In order to climb up to a senior position in the bank, technical knowledge is not enough. You have to be an all-rounder. You have to demonstrate your abilities through building rapport with clients and being able to lead your team to win mandates and execute them beautifully within an aggressive timetable. The things taught on the CUHK MBA, especially the soft skills such as business negotiation, management and leadership skills, were all crucial in shaping me to have the attributes to be promoted to the leadership position. What made you choose CUHK? I chose CUHK MBA because it was the first school to have a MBA program in Hong Kong. It had the largest and most extensive alumni network in Hong Kong and a history of providing a top class education. Through the alumni network, I got to know the alumni who were the key opinion leaders in different sectors. This access was crucial for me to know the ins and outs of different industries. What advice would you offer potential MBAs? Candidates should be clear of what they want to achieve by studying MBA. They should have clear objectives and make sure they can get it during their studies. Different schools have different strengths. I wanted to expand my network in Hong Kong and therefore chose the CUHK MBA as they have the most extensive alumni network in Hong Kong. I chose to do my second half of MBA program in Duke University because I know they have one of the best healthcare finance programs in the world. This gave me a very solid background of switching into an investment banker with a focus in healthcare. MBA Vs Executive MBA: Which Business School Degree Is Right For You?